﻿ Recapture the Magic of Labor and Birth | Christiane Northrup, M.D. Childbirth is designed by nature to be a peak experience that is joyous, ecstatic, and loving. The body of the laboring woman is designed to labor flawlessly when a woman is relaxed, well nourished, and well supported. If this weren’t the case, the human race would never have survived. For centuries, midwives helped mothers through the pregnancy and birthing processes, standing by them with medical and emotional aid. The very word obstetrics is derived from the Latin word stare, which means “to stand by.” A woman’s body knows how to give birth instinctively and will respond in settings in which she is encouraged to move in the ways that feel right and to make the sounds that she needs to make. Modern obstetrics, however, has changed from a natural process of “standing by” and allowing the woman’s body to respond naturally into a domineering and often invasive practice. Women’s cultural conditioning causes us to turn ourselves over to pregnancy experts, so most of us have lost touch with our innate pregnancy and birthing knowledge and power, as have most of these experts, who rely on tests and machines to tell them how to help. This is one area where so-called modern medicine is actually antiquated—and dangerous. Risky labor inductions for “convenience” and all the complications associated with them, such as increased risk of prematurity, C-section, and maternal death, are now on the rise all over the country. In fact, according to legendary midwife Ina May Gaskin, the maternal death rate in the United States has actually doubled in the last 25 years. On the other hand, studies have repeatedly shown that in healthy mothers with no risk factors, home birth is as safe as hospital birth. One study in the Netherlands looked at almost 530,000 low-risk planned births and found that with the proper services in place (such as a well-trained midwife and good transportation), home births are just as safe as hospital births.##dejonge## In fact, home birth may even be safer. Ina May reports that at The Farm Midwifery Center, the C-section rate is only 1.4 percent—a safety rate unparalleled by hospitals. And her experience is clearly not solitary. A landmark study published in the British Medical Journal in 2005 found that natural birth at home, under the care of certified practicing midwives, is safe for low-risk mothers and their babies. Episiotomy rate was 2.1 percent for the home-birth group, compared with 33 percent for hospital births. Labor was induced in only 9.6 percent of home births, compared to 21 percent of hospital births. I delivered babies for almost a decade and had two of my own before I really came to appreciate the fact that most women’s experience of pregnancy, labor, and delivery is nowhere near as empowering as it could be. There are many choices for how to have your baby. In fact, there are more childbirth choices now than ever before—everything from high-tech hospital birth to water birth at home. 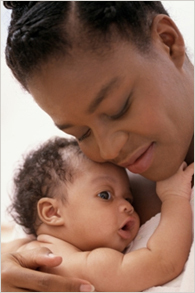 To choose the care that is the safest and most mother-friendly option, you must be informed! I recommend that you visit the website of the Coalition for Improving Maternity Services (CIMS), a group of individuals and more than fifty organizations whose mission is to promote a wellness model of childbirth. The article “Having a Baby? Ten Questions to Ask” on their Web site www.motherfriendly.org is a must-read. Optimal care of pregnant women, who are very powerful and vulnerable at the same time, should be the highest priority in the world. Quality care and education, along with a willingness to take an active role in her labor and pregnancy, can prevent countless health problems for mother and baby. Help support a mom-to-be. Let her know she has the inner resources and external support to birth on her terms, so she, too, can be transformed by the magic of childbirth. A. de Jonge, et al., “Perinatal Mortality and Morbidity in a Nationwide Cohort of 529,688 Low-Risk Planned Home and Hospital Births,” BJOG: An International Journal of Obstetrics and Gynaecology, vol. 116 (August 2009), pp. 1177-84. K. C. Johnson and B. A. Daviss, “Outcomes of Planned Home Births with Certified Professional Midwives: Large Prospective Study in North America,” British Medical Journal, vol. 330, no. 7505 (June 18, 2005), p. 1416.